There is a growing interest in returning to what is called the Historic Lectionary or the One Year Lectionary. 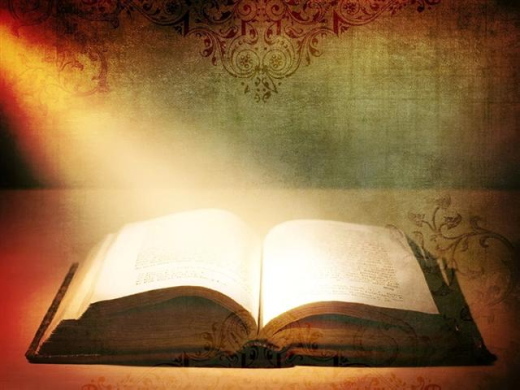 The Historic Lectionary has been in use for over 400 years and has withstood the test of time. Article XXIV [the Mass] of the Apology of the Augsburg Confession states: "We also keep traditional liturgical forms, such as the order of readings, prayers, vestments, and other similar things." 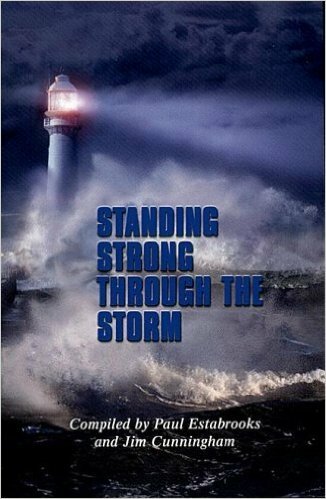 THE LORD also will be a refuge for the oppressed, a refuge in times of trouble: and they that know Thy Name will put their trust in Thee; for Thou, LORD, hast not forsaken them that seek Thee. For the needy shall not alway be forgotten: the expectation of the poor shall not perish forever. Arise, LORD; let not man prevail. Out of the depths have I cried unto Thee, O LORD: LORD, hear my voice. Do you not know that in a race all the runners run, but only one receives the prize? So run that you may obtain it. Every athlete exercises self-control in all things. They do it to receive a perishable wreath, but we an imperishable. So I do not run aimlessly; I do not box as one beating the air. But I discipline my body and keep it under control, lest after preaching to others I myself should be disqualified. For I do not want you to be unaware, brothers, that our fathers were all under the cloud, and all passed through the sea, and all were baptized into Moses in the cloud and in the sea, and all ate the same spiritual food, and all drank the same spiritual drink. For they drank from the spiritual Rock that followed them, and the Rock was Christ. Nevertheless, with most of them God was not pleased, for they were overthrown in the wilderness. I believe in God the Father Almighty, Maker of heaven and earth. And in Jesus Christ his only Son our Lord; who was conceived by the Holy Ghost, born of the Virgin Mary, suffered under Pontius Pilate, was crucified, dead, and buried; he descended into hell; the third day he rose again from the dead; he ascended into heaven, and sitteth on the right hand of God the Father Almighty; from thence he shall come to judge the quick and the dead. I believe in the Holy Ghost; the holy catholic Church; the communion of saints; the forgiveness of sins; the resurrection of the body; and the life everlasting. 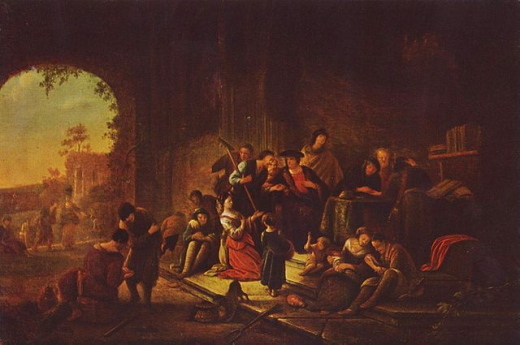 Painting of the parable of the Laborers in the Vineyard, by Jacob Willemszoon de Wet, mid 17th century. Now may the peace of God, which passeth all understanding, keep your hearts and minds through Christ Jesus. As you read today's gospel lesson, what was your first reaction?? What emotion came into focus in your heart and soul?? How did you react to that householder? How did you react to those who worked all day and then grumbled at the householder? For many this parable is very difficult, because it seems the householder is not being fair or just. How can he pay those who worked only one hour the same as those who worked all day? Did the workers have a right to complain? Let us look at that story again, slowly, part by part. In Jesus’ day, those who wanted to work, would be in the market place ready for someone to come and hire them. It was not unusual for a farmer, landlord, to go and find help for the harvest of his vineyards. So, early in the morning, he goes to the market place and hires some workers for the day. Notice what he tells them, the text says:"After agreeing with the laborers for a denarius a day, he sent them into the vineyard." They had agreed upon a wage for a day’s work. It was a fair wage, a common wage for that day, a just wage. But then the third hour, 9 o’clock, he goes back to the market place and sees some more men still waiting to be hired. He says to these men,"’You go into the vineyard too, and whatever is right I will give you.’ So they went." He does this again the 6th hour, 12:00 noon, and the ninth hour, 3:00 in the afternoon, and even at 5:00, the last working hour he goes to the market place and hires workers to work in his fields. Please, please, notice an important point here with these men, the householder tells them he will pay them whatever is right, they trust him and go into the fields. They do not know how much they will receive. They go, they trust. At 6:00, work was over, the foreman calls the workers together and begins to pay them. But a strange thing happens, he begins with the ones hired at 5:00, and he pays them a denarii for their hour work, the agreed upon price for a whole day’s work. Each worker comes and receives his pay. The ones hired at 3:00pm, at 12:00, noon, at 9:00am and at 6:00am all receive a denarii. Those hired at 6:00 am, when their turn came, hoped they would receive more, because they worked the hardest, they had been in the field the longest, working under the hot sun all day long, but, they also received the agreed upon price for their labors, a denarii. They grumbled at the householder saying, "These last worked only one hour, and you have made them equal to us who have borne the burden of the day and the scorching heat." This wasn’t fair, this wasn’t just. They worked harder and longer than the johnnie-come-latlies, they deserved more money. But the householder turned to them saying, "Friend, I am doing you no wrong; did you not agree with me for us denarius? Take what belongs to you, and go;" The householder was saying, "We agreed upon the wage you would receive for a whole day’s work. You agreed, it is an honest and just wage, so don’t complain. I did not cheat you, I paid you the agreed upon wage!!" The final statement of the householder sums up his feelings and thoughts about this matter. He says:"Am I not allowed to do what I choose with what belongs to me? Or do you begrudge my generosity?" How do you feel now as you read again this story?? Is it fair and just that the jonnie-come-latlies get the same wage as those who worked all day?? What would you say to the householder?? The key for understanding this parable lies in the first verse where Jesus says: "FOR THE KINGDOM OF HEAVEN". For the kingdom of heaven that is the key, we are not speaking about things of this earth, we are speaking about the kingdom of heaven, we are speaking about God, and there, things are different. This parable speaks about the way of God with human beings, not the way of human beings with other human beings. This parable is about God, period. This parable speaks about God in many different ways. In his book "The Divine Trap", Richard Hoefler says, on pg.78, "God is first of all an absolute master, He does, the parable tells us, what he desires to do with what is His. The Kingdom of God is no democracy where we decide by a majority vote the way things will be done." To our human nature, God’s way is not our way. But that is true, isn’t. Don’t we want God to be more than we are?? Jesus was addressing not only His disciples as He told this parable, but also the Pharisees, who had gotten the notion that the kingdom of heaven was their possession. As Richard Hoefler continues on pg. 79 saying: "The Pharisees had forgotten this. The kingdom of God belongs to God, period. Jesus met them head on. He said in effect,"You are good men. Right? Everybody knows this and respects you for it. That is the wage you bargained for. That is what God gives you. As for these others, the sinners and the poor, they have their own unique relationship with God. He will do with them as he wants, for you are all only workers in His vineyard. And of this vineyard, God is master. He has absolute authority to establish wages, and pay rewards according to His will and His will alone." But, aren’t we the modern day Pharisees by saying, "How can a person on their death bed receive the same rewards of heaven as me who has been working with Jesus my whole life?" or, "How can that bum be allowed in the church, he smells bad, looks bad, surely he cannot be a believer?" or, "How can that person maintain, he is a believer when he shows no fruits of his faith, he is poor, there is trouble in his life, and he is even deaf. Surely God wants something more for his kingdom!!!" We want God to be just, righteous, fair, by our standards. God has to judge the way we do. But if God really did what we want him to do, think about what would happen?? Michael Sherer says this about a just God on pg. 51 in his book, "And God Said....Yes!! ", "A just God would have started over or just folded up creation and gone fishing." Thank God, he is not "fair" not "just". Thank God He is larger than our categories. Thank God that when we are asked to labor in His vineyard at 5 minutes until quitting time, he doesn’t quibble over salary or ask us why we didn’t punch the time clock sooner in the day." Think about it, if God were fair and just as we would have Him be, none of us would have a hope, or a prayer, of eternal life, because no matter how foolishly we think we somehow are helping God save us, we aren’t. God does the work, we don’t. Thank God He does. "The point Jesus is making about God and his call to live and work for him is that God is more than fair. Our God is the God of grace, and life in his kingdom is lived under his grace. His call issued to us is not the offer of a contract but the bestowal of a gift. It is a gift far greater than the payoff we might falsely think would be to our advantage; for the world of which we are part is a world captive to sin, and we are sinners in it. So he closed his parable with the owner asking those he had called earlier than others: "Do you begrudge my generosity?" The original Greek says literally, "Is your eye evil because I am good?" I like that. Are we starting to give dirty looks out of the corner of our eyes because it seems we have been working hard and long while others have not?" "A sinner was found lying in a deep pit. He was unable to save himself from it’s mire; he was unable to climb from the pit. Now it happened that Confucius came along. He peered over the edge of the pit and said: "Poor fellow, I feel extremely sorry for you. Why were you such a fool as to fall into that pit in the first place? Let me give you a bit of advice: If you get out, don’t get into it again." Later, a Buddhist priest came along and saw the man in the pit. He said to the sinner in the pit: "Poor fellow, I am very much pained to see you in there. I think if you could get 3/4 of the way out of this mire, I would be able to lift you out the rest of the way. But the man was helpless. And so he continued to lie there. Later, when Jesus came that way, he saw the man, said not a word, but lowered a cross down into the pit, climbed down, hung onto the cross beams and reached out a hand to the man. He grabbed the man and lifted him up onto his back and carried him and the cross out of the pit. He placed the man on edge of the pit, bound his wounds, and invited him to follow him during the rest of his pilgrimage on earth. For the first time during this whole rescue, the man said something, he said, " Yes, Jesus, I will follow." God is gracious with His love, with what He possess. And those of us in the Kingdom should rejoice and be filled with joy that He does give so generously. Why do we feel anger, unfairness at the johnnie-come-latlies? Each received their reward!! Each received the reward of heaven!! Isn’t that enough? Isn’t that worth shouting about?? Are we jealous of God’s grace?? Do we begrudge God’s generosity? Maybe, we need to be more like those who were called last?? Remember, they were trusting, not worried about how much they would make, whether it would be fair or just. They were just glad for the chance to be called to work. Can’t we just be glad that God has called us to be in His kingdom and given us His generous grace? Can’t we just let God be God and let Him handle His kingdom his way? Can’t we rejoice that one more person, even on their death bed, has been called into the kingdom? Can’t we be excited over our own work in the kingdom, be pleased of our status with God and let the rest lie with God? "Why did the earlier workers not rejoice that the man who had waited long in the marketplace was now at peace, with money to take home to his family? Why did not the older brother rejoice that the prodigal was now restored, set free from the rags and hunger of that far country??? If only we had but a tincture of God’s love would we be glad, as heaven is glad, that the lost sheep is safe in the fold, delivered from briars and wolves?? "'Or are you jealous because I am generous?' God asks." Do you rejoice, or are you jealous?? 1 Corinthians 13: 6-7 (NIV) Love does not delight in evil but rejoices with the truth. It always protects, always trusts, always hopes, always perseveres. 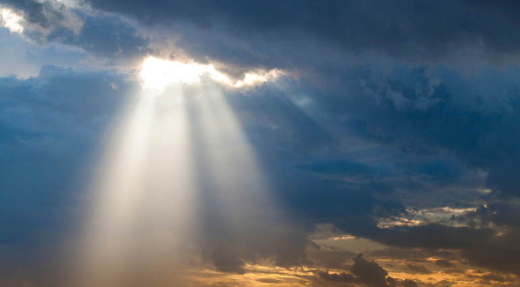 LHM Daily Devotion - "Forgiveness is a Beautiful Thing to Do!" People who have been harmed often have difficulty forgiving others. Truly, forgiving can be difficult, but it is not impossible. Not so long ago our office received a response letter from one of our listeners. She had tuned into the Lutheran Hour Ministries-Indonesia radio program: Excellent Generation . It is a program aimed at a young, teenage audience. The letter explained how our listener had a life-changing experience, after she realized forgiveness was a faith-action that came when an individual was motivated by the Holy Spirit to show thanks for the Savior's gift of salvation. It is love of the Savior which gives an individual a courageous and sincere heart to forgive as we have been forgiven. The listener who sent the letter is 18 years old. She lives in the small town of South Kalimantan in South Borneo. She was born into a Muslim family in this province that is dominated by 97 percent Muslim people. South Kalimantan is also known as a city which has a santri, a boarding school for Islamic students. In South Kalimantan, most people are quite fanatical about their religion. Our listener, Siti is her name, became connected with "Jangkar Kehidupan" (LHM- Indonesia) after she tuned into our radio program whose name, when translated, means "excellent generation." The theme for our broadcast that day was having a relationship in accordance with the will of God . At the time of our broadcast, the young lady really needed an opportunity to pour out her feelings and problems. Sadly, Siti knew she didn't dare tell her problems to her parents, and she wasn't sure about anyone else. She needed a friend whom she could trust and who would listen to her. Her problem was this: she had been devastated when her boyfriend had broken up with her after they had disagreed over morality issues. Having no one else to turn to, Siti came to us in a telephone text message. We responded and told her that we are Christians, followers of the Savior, Jesus. Until that time, she had never had a Christian friend! Through this text-message ministry, we shared a lot of Scripture-based advice that raised her spirits and changed her life. One of those changes came when she, now a Christian who had been forgiven by the Savior, ended up forgiving her boyfriend. It took time, but eventually she could not help but reflect the love she had received to those around her. Now, Siti is a believer. 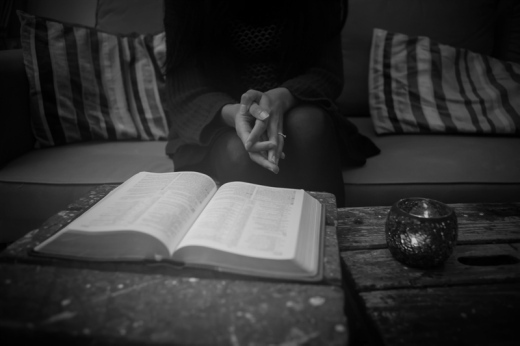 Still, she lives in a place where being a Christian can be dangerous, which is why we encourage you to join us in asking the Lord to give her the courage to be a faithful follower of the Redeemer. Biography of Author : Today's international devotion was written by Imelda Aritonang. She has served as director of LHM-Indonesia since December 2011. She earned a bachelor of literature degree from Gadjah Mada University and a master of management degree in marketing from the College of Management in Jakarta. She is a member of a children's ministry networking organization. She is an active member of Huria Kristen Batak Lutheran Church. She lives in North Jakarta with her husband Gerhard and three children. Lutheran Hour Ministries-Indonesia uses radio and television, mobile device messaging, print resources, and evangelism training to share the Gospel throughout Indonesia. In cooperation with local Lutheran churches, the ministry reaches out to people to share the Gospel message, especially to Muslims in neighboring communities. Indonesia is an archipelago in Southeast Asia made up of more than 13,400 islands; it is home to 250 million people. The ministry center of LHM-Indonesia, known locally as Anchor of Life, is located in Jakarta. Using staff and trained volunteers in making connections to Indonesian communities, it puts on puppet shows, works with Sunday school teacher training, holds local sporting events, and offers topical school programs -- all as a means to move the Gospel forward. Bible Correspondence Courses ( BCC ) and Equipping the Saints ( ETS ) workshops educate Indonesians on the Scriptures and train them to share the Good News of God's grace and love, as found in Jesus Christ, with their family and friends. To read more about what's going on in Indonesia, you can click here to visit its blog. 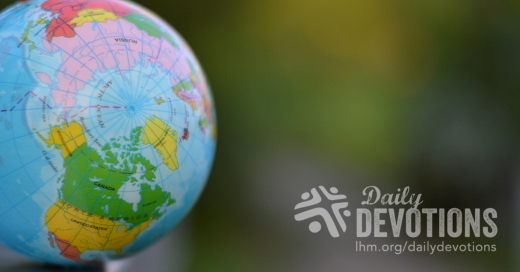 To learn more about our International Ministries, visit www.lhm.org/international . The little boy was only eight when he announced to his parents’ friend Wally, “I love Jesus and want to serve God overseas someday.” During the next ten years or so, Wally prayed for him as he watched him grow up. When this young man later applied with a mission agency to go to Mali, Wally told him, “It’s about time! When I heard what you wanted to do, I invested some money and have been saving it for you, waiting for this exciting news.” Wally has a heart for others and for getting God’s good news to people. Jesus and His disciples needed financial support as they traveled from one town and village to another, telling the good news of His kingdom (Luke 8:1–3). 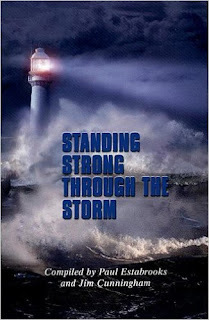 A group of women who had been cured of evil spirits and diseases helped to support them “out of their own means” (v. 3). One was Mary Magdalene, who had been freed from the presence of seven demons. Another was Joanna, the wife of an official in Herod’s court. Nothing is known about Susanna and “many others” (v. 3), but we know that Jesus had met their spiritual needs. Now they were helping Him and His disciples through giving their financial resources. When we consider what Jesus has done for us, His heart for others becomes our own. Let’s ask God how He wants to use us. How might you be a part of getting the good news of salvation to people in your neighborhood and around the world? Tell someone the story of what Jesus has done for you. Write a note of encouragement to someone. Share a gift with a missionary. Pray. Jesus gave His all; He deserves our all. Khi mới tám tuổi, cậu bé nọ đã nói với chú Wally, bạn của bố mẹ cậu, rằng: “Con yêu Chúa Jêsus và con muốn một ngày nào đó được hầu việc Ngài ở nước ngoài.” Suốt khoảng mười năm sau đó, chú Wally vừa cầu nguyện vừa nhìn cậu bé lớn lên. Khi chàng trai này nộp đơn vào một trung tâm truyền giáo để xin đi làm giáo sĩ ở Mali, Wally nói với cậu: “Thời điểm đến rồi! Khi nghe cháu nói lớn lên cháu muốn làm gì, chú đã bỏ chút ít tiền vào đầu tư và tiết kiệm một khoản tiền cho cháu, đợi đến khi nghe được tin thú vị này.” Whally yêu thương mọi người và có tâm tình với việc đem tin mừng của Chúa đến cho nhiều người. Khi họ đi từ làng nọ đến làng kia rao truyền tin lành về Nước Trời, Chúa Jêsus và các môn đồ cần sự hỗ trợ về tài chính (Lu-ca 8:1-3). Một nhóm phụ nữ được chữa lành khỏi quỷ dữ và tật bệnh đã hỗ trợ Chúa và các môn đồ Ngài “theo khả năng của mình” (c.3). Một người trong số đó là Ma-ri Ma-đơ-len, người đã được giải phóng khỏi bảy quỷ dữ. Một người khác là Gian-nơ, vợ của một vị quan trong triều đình Hê-rốt. Chúng ta không biết gì về Su-xan-nơ và “nhiều người khác nữa” (c.3), nhưng chúng ta biết rằng Chúa Jêsus đã đáp ứng những nhu cầu thuộc linh cho họ. Giờ đây, họ đang giúp Ngài và các môn đồ của Ngài bằng việc hỗ trợ tài chính. Khi chúng ta xem xét những gì Chúa Jêsus đã làm cho mình, thì tâm tình của Ngài dành cho người khác trở thành tâm tình của chính chúng ta. Chúng ta hãy hỏi Chúa xem Ngài muốn dùng chúng ta như thế nào. Bạn có thể trở thành một phần trong công tác đem tin lành cứu rỗi của Chúa đến cho những người hàng xóm và cho mọi người trên khắp thế giới bằng cách nào? Hãy nói cho ai đó biết về câu chuyện Chúa Jêsus đã làm những gì cho bạn. Hãy viết một lời khích lệ cho ai đó. Hãy chia sẻ một món quà với một giáo sĩ nào đó. Hãy cầu nguyện. Chúa Jêsus đã cho đi mọi điều của Ngài; Ngài đáng nhận được mọi điều từ chúng ta. … abundad también en esta gracia (2 Corintios 8:7). El niño tenía solo ocho años cuando le anunció a Guille, un amigo de sus padres: «Amo a Jesús y, algún día, quiero servirlo en otro país». Durante diez años, Guille oró por él mientras lo veía crecer. Tiempo después, cuando este joven presentó una solicitud a una organización misionera para ir a Mali, Guille le dijo: «¡Ya era hora! Cuando escuché lo que querías hacer, invertí un poco de dinero y lo he estado ahorrando para ti, esperando esta noticia emocionante». El corazón de Guille vibraba por ayudar a otros y colaborar para que la gente conociera la buena noticia de Dios. Jesús y sus discípulos necesitaron sustento financiero mientras viajaban de un lugar a otro anunciando la buena noticia de la salvación (Lucas 8:1-3). Un grupo de mujeres que habían sido sanadas de demonios y enfermedades los sustentaban «con sus bienes» (v. 3): María Magdalena, liberada de siete demonios; Juana, esposa de un funcionario de la corte de Herodes; Susana, de quien no se sabe nada; y «otras muchas» (v. 3). Pero sí sabemos que Jesús había suplido sus necesidades espirituales. Ahora, ellas lo ayudaban a Él y a sus discípulos con recursos financieros. Cuando consideramos lo que Jesús ha hecho por nosotros, su corazón por los demás se hace nuestro. Preguntémosle cómo desea utilizarnos. Señor, muéstrame cómo puedo ayudar a tu obra. Jesús lo dio todo; Él merece todo de nosotros. „Ich habe Jesus lieb und will einmal Missionar werden“, sagte der Achtjährige zu Walter, einem Freund seiner Eltern. Walter beobachtete ihn beim Heranwachsen und betete für ihn. Als der junge Mann sich dann bei einer Missionsgesellschaft bewarb, um nach Mali zu gehen, sagte Walter: „Jetzt ist es soweit! Als du mir damals erzählt hast, was du vorhast, habe ich etwas Geld für dich angelegt. Jetzt ist der Moment da, auf den ich gewartet habe.“ Wally hat ein Herz für andere und dafür, Gottes Botschaft zu den Menschen zu bringen. Auch Jesus und seine Jünger brauchten finanzielle Unterstützung, als sie von einer Stadt und einem Dorf zum anderen zogen, um die Botschaft von Gottes Reich zu verkünden (Luk. 8,1-3). Eine Gruppe von Frauen, die von bösen Geistern und Krankheiten geheilt worden waren, unterstützte sie „mit ihrer Habe“ (V.3). Eine war Maria Magdalena, die von sieben bösen Geistern befreit worden war. Eine andere war Johanna, die Frau eines Verwalters am Hof von Herodes. Über Susanna und „viele andere“ (V.3) wissen wir nichts. Aber wir wissen, dass Jesus ihnen im Glauben geholfen hatte. Nun halfen sie ihm und seinen Jüngern mit ihren Finanzen. Wenn wir daran denken, was Jesus für uns getan hat, öffnet sich unser Herz auch für andere. Wir wollen Gott bitten, uns zu zeigen, wie er uns gebrauchen möchte. Wie kannst du dazu beitragen, die gute Nachricht von der Erlösung zu den Menschen in deiner Umgebung und in der ganzen Welt zu tragen? Erzähle jemandem, was Jesus für dich getan hat. Schreib jemandem ein Wort der Ermutigung. Spende für einen Missionar. Bete. Jesus gab alles von sich. Er verdient alles von uns. Le garçon n’avait que huit ans lorsqu’il a annoncé à Wally, l’ami de ses parents : « J’aime Jésus et je veux servir Dieu outre‑mer un jour. » Au cours de la dizaine d’années qui ont suivi, Wally a prié pour lui en le regardant grandir. Lorsque, devenu jeune homme, ce garçon a soumis sa candidature à une organisation missionnaire pour aller oeuvrer au Mali, Wally lui a dit : « C’est pas trop tôt ! Quand je t’ai entendu dire ce que tu voulais faire, j’ai fait un placement, que j’ai gardé pour toi, en attendant de recevoir cette nouvelle exaltante. » Wally a les gens et l’annonce de l’Évangile à coeur. Jésus et ses disciples ont eu besoin d’un soutien financier dans leurs déplacements de villes en villages pour raconter la bonne nouvelle de son royaume (LU 8.1‑3). Or, des femmes qu’il avait délivrées d’esprits mauvais et de maladies les « assistaient de leurs biens » (V. 3). Parmi elles se trouvait Marie de Magdala, de qui Jésus avait chassé sept démons. Une autre était Jeanne, la femme d’un intendant d’Hérode. Nous ne savons rien au sujet de Suzanne ni de « plusieurs autres » (V. 3), mais nous savons que Jésus avait répondu à leurs besoins spirituels. Et voilà maintenant qu’elles leur venaient en aide, à lui et à ses disciples, par leurs ressources financières. En considérant ce que Jésus a fait pour nous, nous acquérons son coeur pour autrui. Demandons-lui donc à quoi il veut nous utiliser. Jésus nous a tout donné ; il mérite donc que nous lui donnions tout. Хліб Наш Насущній - Він стільки зробив для нас! Хлопчику було лише вісім років, коли він об’явив Уоллі, другу своїх батьків: “Я люблю Ісуса і хочу колись служити Богу в заокеанських країнах”. Хлопчик зростав на очах Уоллі, і той молився за нього протягом десяти років. Коли потім цей юнак звернувся до однієї місії з бажанням їхати до Малі, Уоллі сказав йому: “Час прийшов! Багато років тому, коли ти сказав про свою мрію, я інвестував для тебе деяку суму грошей і чекав на цю радісну новину”. Серце Уоллі було відкрите для людей і для того, щоб Блага Звістка стала відомою ще багатьом. Ісус та Його учні потребували фінансової підтримки, коли подорожували від міста до міста, від селища до селища, звіщаючи людям Євангеліє Царства (Лк. 8:1-3). Деякі жінки, яких Христос звільнив від злих духів, допомагали їм матеріально – “маєтком своїм служили” (Лк. 8:3). Серед них була Марія Магдалина, з якої було вигнано сім демонів. Інша жінка, Іванна, була дружиною високого посадовця з Іродового двору. Нічого невідомо про Сусанну й “багатьох інших” (Лк. 8:3), але ми розуміємо, що Ісус колись задовольнив їхні духовні потреби, і тепер вони служили Йому та учням своїми фінансовими ресурсами. Просімо ж Бога показати нам, як можемо і ми послужити іншим. Як би ви могли сприяти донесенню звістки про спасіння до людей вашої місцевості та всього світу? Розкажіть кому-небудь про те, що Ісус зробив для вас. Напишіть кому-небудь підбадьорюючого листа. Допоможіть фінансово якомусь місіонеру. Моліться за інших! Ісус віддав нам усе, тому й заслуговує на все. Мальчику было всего восемь лет, а он уже заявил другу своих родителей, которого звали Уолли: «Я люблю Иисуса и, когда вырасту, хочу стать миссионером». В течение следующих десяти лет Уолли молился за этого мальчика. Придя в возраст, молодой человек подал заявление в миссионерское агентство, чтобы его направили в Мали. Уолли сказал ему: «У меня для тебя сюрприз, парень. Когда десять лет назад я услышал о твоем желании, то решил откладывать часть своих доходов для тебя, ожидая твоего решения». Уолли был внимательным к людям и желал, чтобы Благая весть достигла многих в этом мире. Иисус и Его ученики также нуждались в финансовой поддержке, путешествуя по стране и возвещая весть о Божьем Царстве (Лк. 8:1-3). Их поддерживали некоторые женщины, которых Христос исцелил от болезней и злых духов, служа Ему «имением своим» (Лк. 8:3). Среди них была Мария Магдалина, из которой Он изгнал семь бесов. Также Иоанна, жена домоправителя царя Ирода. Кроме них там еще была Сусанна и «многие другие», о которых мы ничего не знаем. Зато мы знаем, что Иисус позаботился об их духовных нуждах. Теперь они помогали Ему и Его ученикам, оказывая им материальную помощь. Размышляя о том, что Спаситель сделал для нас, мы перенимаем Его отношение. Будем просить Бога употребить нас, как Ему угодно. Как вы можете принять участие в донесении Благой вести спасения до ваших соседей и людей по всему миру? Расскажите кому-нибудь, что сделал для вас Христос. Напишите ободряющее письмо. Пошлите подарок миссионеру. Помолитесь. Иисус пожертвовал всем и потому достоин всего.